crackingly good spy novel set in Pakistan and Afghanistan in 1986. The sights and sounds and smells of the setting leap off the page, so authentic that you think the author must have been there/done that. But that is a mystery for another day, because Diana has other stories to tell--as do her souvenirs. Who would have thought a travel bag could hold such wonderful memories? DIANA CHAMBERS: Sometimes in the dark of night, I wonder if I became a writer as cover for my secret passion—travel. Not that I don’t love sleeping in my own bed and hanging out with my dog, but there is a world out there that draws me. The lure of a place has often led to a story. Research is the perfect excuse to pack my bag, although I don’t really need an excuse. 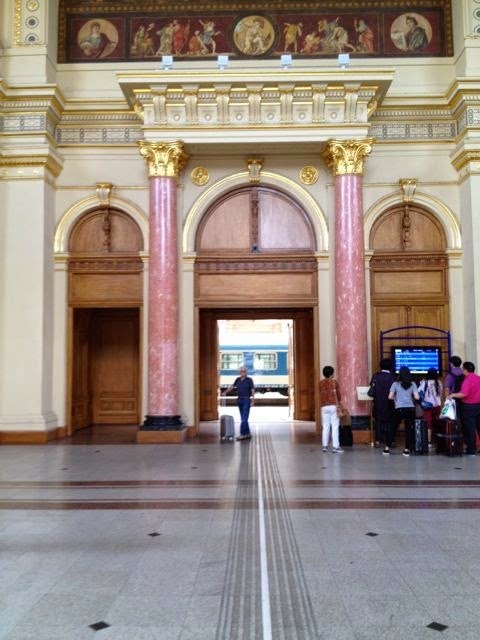 Last summer, a big family birthday set me planning our travels through Europe by Train. It was a grand whirlwind that left me with a severe case of jet lag. Once I emerged from the fog, I barely left my computer. Two months later, after sending off a book to my editor, I finally cleaned my desk. Then on a hidden hook, I noticed the cross-body bag I’d worn on the trip. I reached inside. 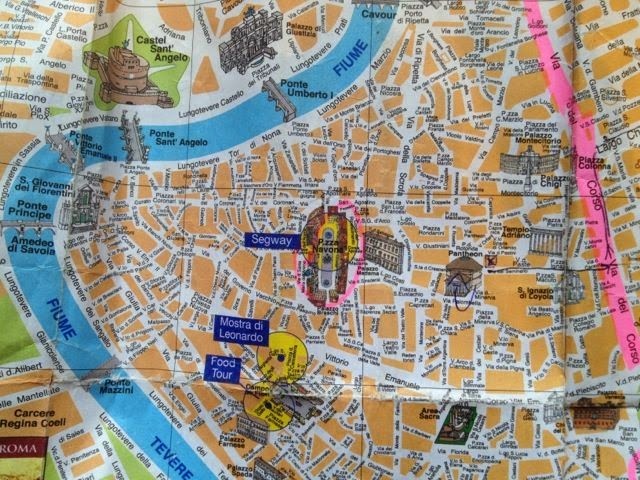 My heart began pounding when I withdrew this map of Rome, our last stop. After a lifelong relationship with France, I fell hard for Italy. 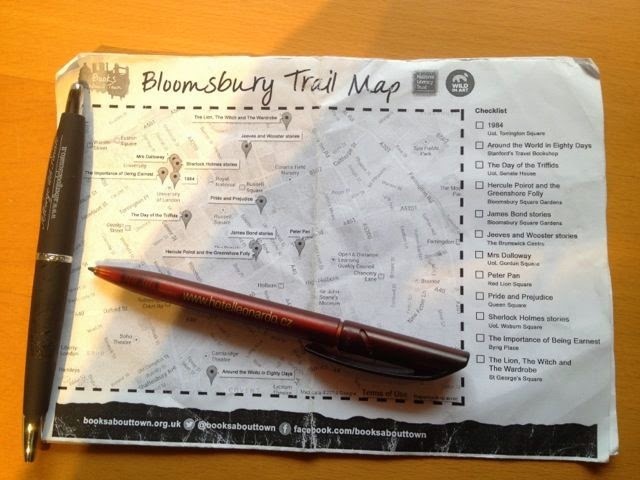 The Bloomsbury Trail map sent me back to our first days in London, where Britain’s Literacy Trust had commissioned a series of author book benches. One sunny day in the park, I found the Agatha Christie book bench, Hercule Poirot and the Greenshore Folly. 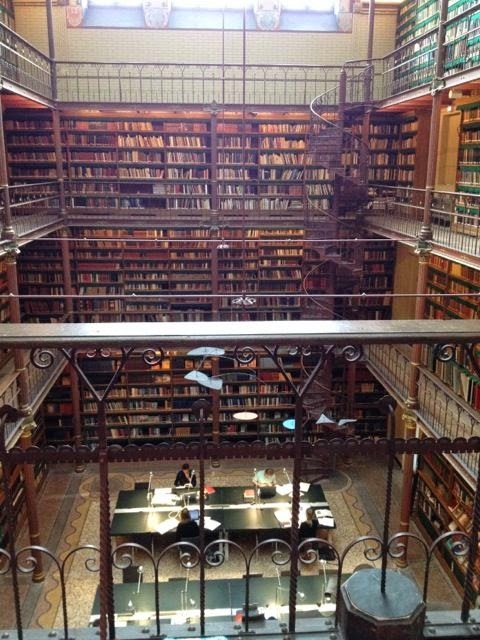 While my Fellow Traveler husband researched “The Cafés of Europe,” my daughter and I pounded the cobblestones, exploring vintage shops, bookstores, and old libraries, including the immense Klementinum in Prague and Rijksmuseum in Amsterdam. I was also unfaithful to Paris in Amsterdam, which I found seriously captivating and arty. We went to pay homage at the Van Gogh Museum. 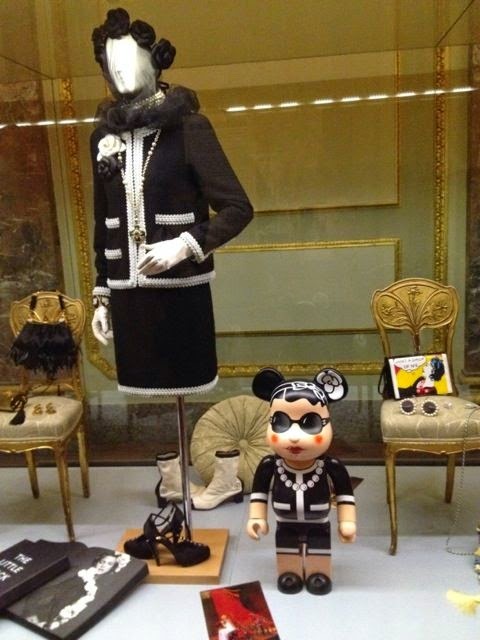 In Florence, we ended our visit to the Pitti Palace and Gardens with an opulent costume exhibit, where we ran into Coco Chanel and Karl Lagerfeld. Our last museum was Rome’s Villa Borghese Gallery, and I still can’t get over this sumptuous Bernini sculpture. In a zippered section of my bag, I found these pound and euro notes, some coins—oh wait, one of one of them is an Indian rupee (but that’s another story). 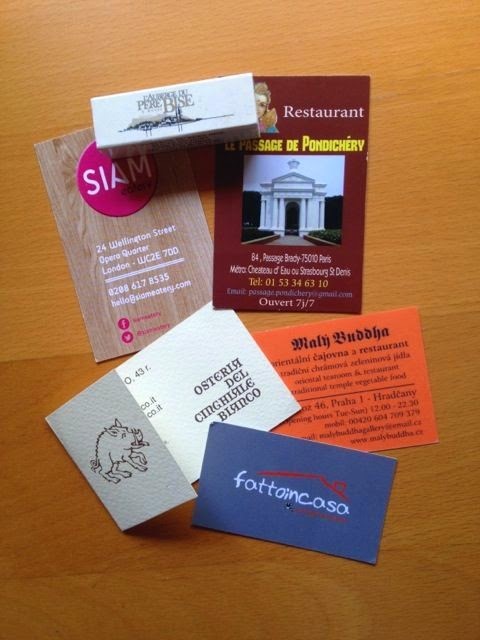 Great sense memories arise from the restaurant cards and matchbox (setting from an earlier book)—spicy Asian noodles in London, sublime roasted porcinis in Florence, yummy vegetarian in Prague (the owner a North Vietnamese architect). Gorgeous, plump house-made noodles at Fattoincasa, the site of our last dinner in Rome, right off the Piazza Navona. 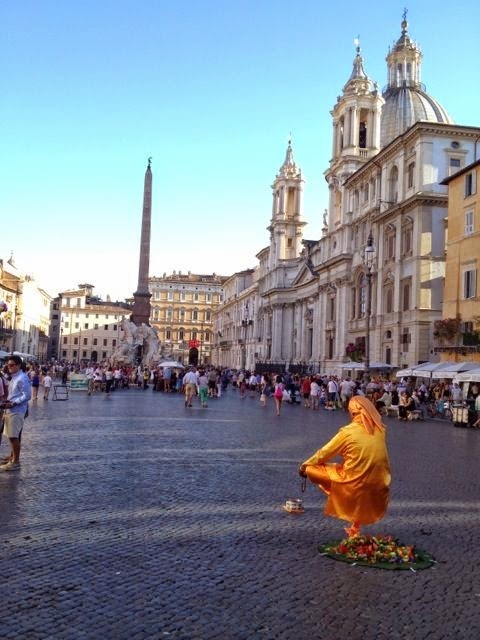 The Navona is truly of Roman scale, breathtaking, and a lively place to hang out and enjoy a gelato after dinner. Or before. Or any time. 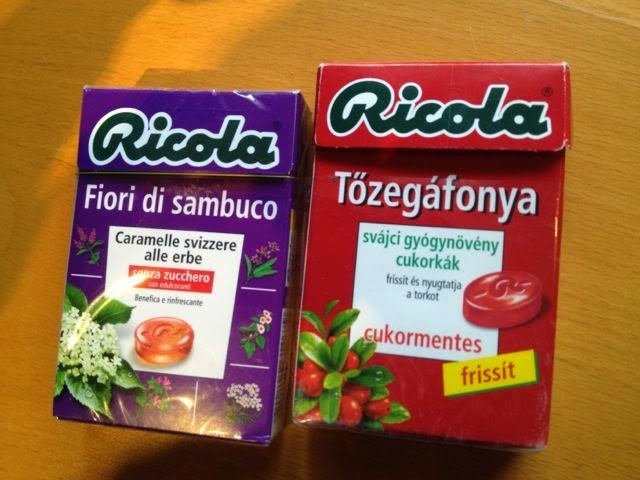 To finish things off, a mint—Swiss or Hungarian? It’s funny how these odds and ends can evoke such real feelings. In French, souvenir means both memory and to remember. However much I admire minimalist design, my house is overflowing with books and travel treasures. Dear Readers, what treasures do you have in your bags? Diana Chambers was born with a book in one hand and a passport in the other. Before long, she was wandering Paris cobblestones. Later, an Asian importing business led to Hollywood costume design, then scriptwriting—until her characters demanded their own novels. Her romantic thriller, Stinger, was recently released by Audible, with the sequel in production. Diana lives in a small Northern California town with her Fellow Traveler husband, arty daughter, and steadfast mutt. 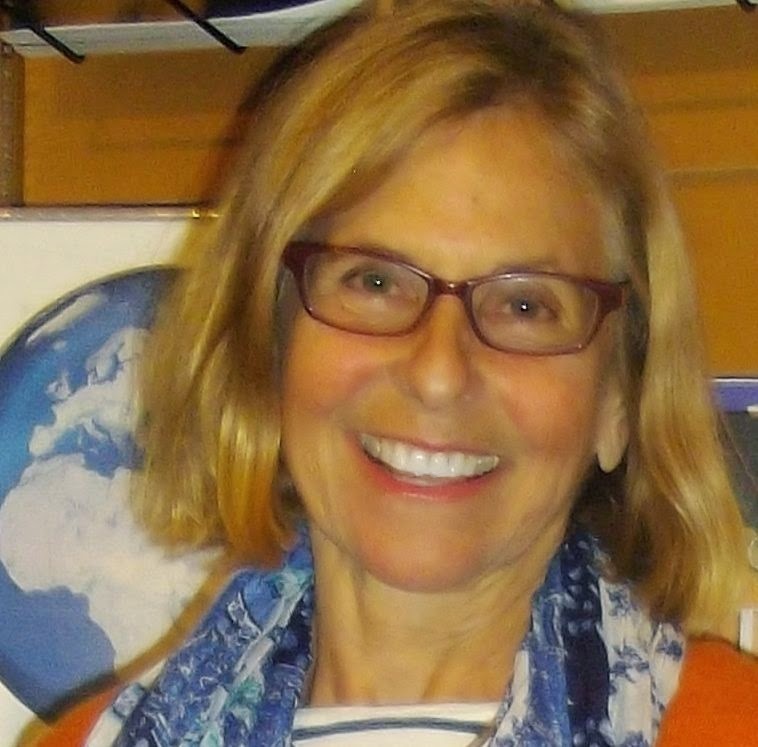 She is a member of the Writers Guild of America, Mystery Writers of America, and Sisters in Crime-NorCal board. Her bag is always packed. dianarchambers.com, facebook.com/DianaChambersAuthor, twitter.com/DianaRChambers. 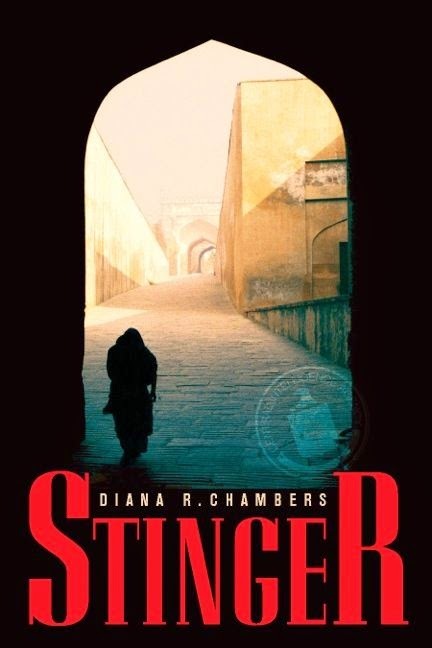 Stinger: When a shipment of Stinger missiles disappears near the Khyber Pass, CIA operative Nick Daley becomes entangled in an unusual triangle with a determined journalist and her former Berkeley lover, now an elusive Afghan leader with a price on his head. “A ripping good novel of page-turning suspense and plot-twisting intrigue.” — James A. Cox, Midwest Book Review. The Company She Keeps: Back in DC, Nick recruits a new agent, Evelyn Walker—“E”—and sends her into a world of danger, from Europe’s grand boulevards to Iran’s Grand Bazaar. “A captivating and thrilling excursion.” — Randall Masteller, spyguysandgals.com. I would love to travel more than I am able to. Hopefully with my new job I can fix that. Your trip sounds delightful. Take me with you next time? Please? A glimpse at a place you've never been, seen through the eyes of someone who has traveled there, is amazing. Thanks for sharing your memories and pictures. Thanks for reading, Joan. I know what you mean about bookshops and libraries. As a girl I began my travels wandering the library aisles. Diana, such a wonderful wonderful trip! My scrapbooks are full of tickets— train, film, museum, dinner receipts, take out menus, and Information cards about all the places visited. I even have course evaluations from seminars, invitations, and a most precious seating assignment for head table at Christ Church one supper. Lots of postcards. Ah, must get back to Europe soon! Yesterday I was going through my collection of bags and found Hank's "Time" bag - Prime Time, etc. - which I carried to Morocco a few years ago. A perfect size bag, with a zipped top, a little zipped inside bag, and a water-bottle holder on the outside. I also recently uncovered a zip lock bag of coins and currencies from all over the world, with all the distinct European ones now obsolete. And probably the Brazilian and Japanese ones, too. Yes, Edith! Those wonderful coins and old banknotes. I have some francs that are real treasures. 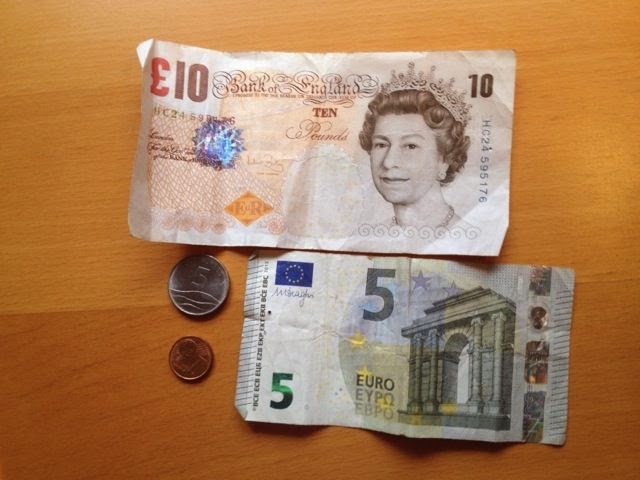 You kind of see why England didn't want to give up their quirky currency. There's so much history there. Although I think Europe had had it with history by the end of the 20th C.
Alright, I do have something more interesting than ticket stubs. I have the Rudolph pin I gave my father when I was 2 1/2. He took the pin off the back and kept it in his wallet for years. When he was dying he said to be sure and take the green box. I found the Rudolph pin in his green metal file box. It was in an envelope with the photo of his girlfriend in Murmansk. Could this explain my surprising DNA report? Oh Reine, what a moving story. He kept it all those years! And the green box of treasures brings tears to my eyes. Quite an odd juxtaposition, with the photo. The past has such a hold over us. I wonder if he was in Murmansk in WWII? There was a big effort to break the ice for a supply channel to support the Russian defense. Your father had a tough job. How about you take all of us on a whirlwind tour? thanks for stopping in and tell us more about your new book? I think we're a bit promiscuous in our (city) affections, don't you, Lucy? ;-) I like that idea of a Jungle Reds tour. Talk about painting the town red! As to Stinger, I'm hoping Debs will invite me back. It's a saga, for sure. Lovely memories, Diana! I love to travel, but you set a high standard! I love the stamps in my passports. And of course photos of the places we've been. No treasures in my bags, unless you count too many miscellaneous, half-used containers of sunblock an insect repellant. Don't you hate it, Hallie, when you get some really good stamps and then your passport expires? Once they actually had to add pages. That was a treasure. Oh, Diana! LOVE this! AndI have awhile bowl of things like that...Bulgari shower gel from Paris, and restaurant cards, and little maps,and train tickets, and stationery from the Hotel Rafael... I'll never do anything but look at it, and from time to time I consider tossing it. But then..
And now you have reassured me! That's it exactly, Hank! Such memories these little odds and ends evoke. The train and metro tickets are great, aren't they? And wait, I think I may have stayed at the Hotel Raphael? Maybe we were there at the same time. I'd love to go to Italy. But now, well, I can't do the walking that a tour would require. So I'll have to look at everybody else's pictures and live vicariously. Stinger sounds great - right up my alley! Diana, I save all those things, too. Ticket stubs, post cards, restaurant cards, maps. So much fun to remember. 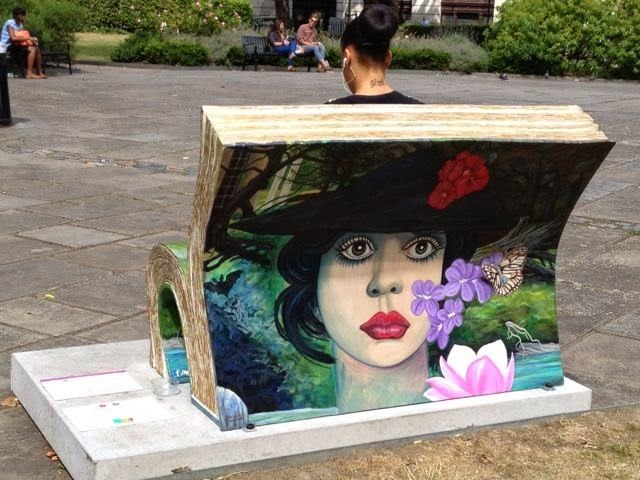 When next I go to London, I hope they still have the Bloomsbury benches! Now, can you tell us a little more Pakistan and Afghanistan during the Soviet invasion? Were you there? Ooh, Debs. I didn't give London justice in this piece. I thought of you so often while there, envying how well you must know this amazing city. I love the map in your wonderful book, To Dwell in Darkness. Actually walked the streets in my mind. Hey, Kim. You and I are definitely Fellow Travelers. Why I love you and your book do. I often find things in pockets of jackets (as I rarely wear jackets in California). 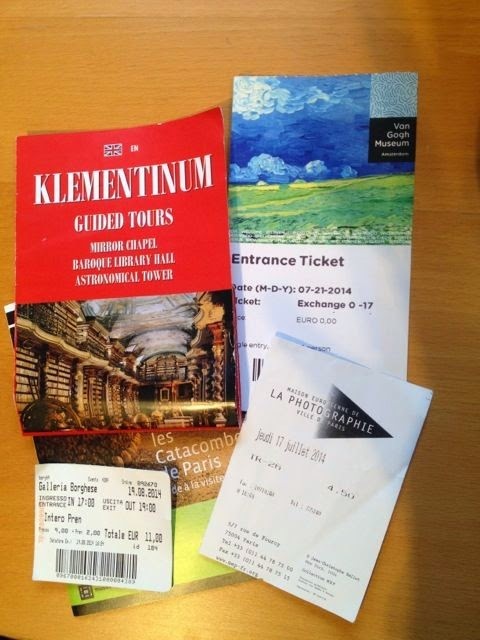 A ticket to the opera in Vienna or a tram in Budapest. Such fun to stumble upon tiny memories. Diana, hi! My god, that picture of the Bernini--amazing. The way the man's fingers a slightly sinking into the women's skin. Wow. Lately, I open up my bags and find bookmarks from authors I've met at conferences. Hah! That said, I need another trip to Ireland -- 2015 hopefully! Agreed, Lisa. Bernini's work is sublime. What a discovery. Love that statue, Diane. It must be breathtaking in person. I wonder how you got matches back in your luggage. It's one of the forbidden items now, post 9-11. On my first trip to Europe we stayed in Florence for a week. I can recall the entire trip in a single sniff of the silk-covered bag of potpourri I bought at Santa Maria Novella. I was very disappointed, though, that some countries no longer stamp your passport unless you request it. I hope my middle daughter is requesting that at each border crossing; as of yesterday she is driving from southern Turkey to Madrid, Spain, hoping to arrive there by New Year's Eve to meet friends. Since she's going to be in Europe until the second week in August, she bought a tiny little van, which will serve not only as transportation, but she can camp in it, and lock her belongings in it while she climbs, etc. What an adventurous girl your daughter is, Karen. I'll bet you inspired her:-) I love your potpourri story. So true how our senses trigger memories. I miss the stamps in Europe too. PS Karen, to be honest I didn't know Bernini until this trip. Imagine making marble look like flesh. I'm a big fan of trip memorabilia. Although I usually like to get one expensive item to remember a trip (goat carving from Key West in Sept.), the little souvenirs of matches, ticket stubs, maps, bookmarks, and so forth bring back the experience of each item. I used to collect match books and boxes, but the movement against smoking has rather quashed that item (not that I want people smoking in restaurants again). I always buy postcards in case my pictures don't do justice to a place. Diana, your travels sound fascinating. I've yet to go to Europe. A friend and I are trying to plan a trip to England and Scotland in the next couple of years. Of course, I'm sure I would love France and Italy, too, but I want to visit some ancestor sites in England. Oh, the Bernini is amazing! That would be the great thing about Italy, all that wonderful art. 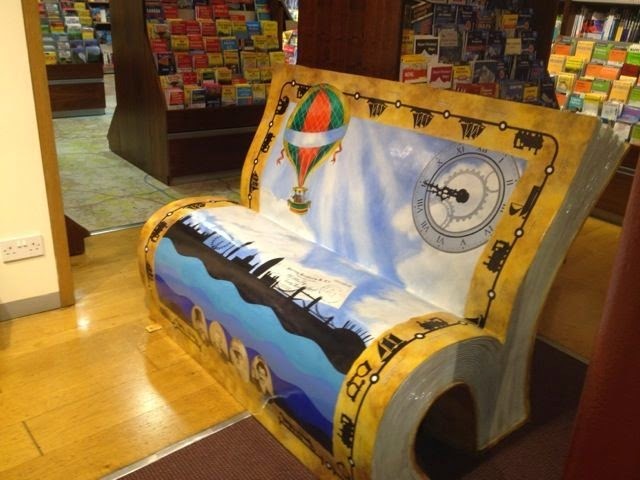 And, I really had wanted to see the book benches. Thanks for the pictures! Stories set in Afghanistan interest me, so I must check out Stinger. My husband was stationed there for six months, and my dining room rug is from there. A friend of ours was stationed at the Khyber Pass. Diana, my father was in Murmansk during World War II. He was recruited straight out of his high school classroom with several of his friends before the US was officially in the war. His ship was torpedoed twice between Archangel and Murmansk, and the crew stayed in the Murmansk harbor until repairs could be made. That was well over a year. He was still a teenager when he got home a couple of years later. Everything that happened in Russia was a mystery to my family, because he said very little about it except that two Russian women took him in for the duration. He took shifts with the other crew members shooting at German planes as they flew in over the ocean and dropped bombs on the port city. He fell in love with one of the women who had sheltered him and had planned to stay. But when she learned that he was only 17, she broke it off. I remember him telling me the story when I was little, and I always believed that it was just a story. He said I was almost born in Russia and that it was only because I was born in the US that I was not named Mariska. I knew the story never made sense. Even as a little girl I knew that if he had married the woman he lived with in Murmansk and if they had a daughter she wouldn't have been me. I wouldn't be the same person. But he persisted in telling the story until I was about 10 years old. That was when my mother said she would leave him if he continued to tell it to me or if he mentioned his girlfriend again. He said he tore up the photo and threw it away. He used to show it to me every now and then until that day. I never saw it again until after he died. It makes no sense at all why it would mean so much to him to have me have this picture. Clearly she could not be my mother. But why was her photo so important to him? When I read Hank's book THE WRONG GIRL my mind took me back to the days when my father would tell that story about his life in Russia and how I was almost born there. I knew it could not be true. Yet I still wonder what were those stories really about? Do I have Russian sisters and brothers? How would I find out? I don't see how this is possible. Yet little Rudolph the Red Nosed Reindeer was in a special envelope with the photo of my father's lover he left behind in Murmansk.